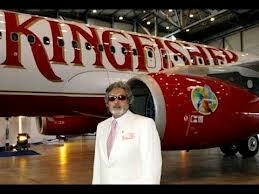 Dr Vijay Mallya-led UB Group company United Breweries Holdings Ltd is in the eye of a storm. 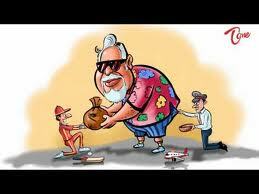 Auditors of United Breweries Holdings Ltd, the holding company of Vijay Mallya-led UB Group, have raised concerns over its significant financial exposure of Rs 13,500 crore to the grounded carrier Kingfisher Airlines. UBHL has made "no provision in the accounts for the probable loss that may arise on account of financial exposures (to Kingfisher)," auditors have said. In their 'limited review report' for the October-December quarter financial results of UBHL, the auditors have said the entity has financial exposures to the tune of Rs 13,538.12 crore to Kingfisher, which is "under severe financial constraints and its operating licence stands suspended". The auditors, Vishnu Ram & Co, said that certain aircraft lessors and bankers have invoked corporate guarantees given by the company on behalf of KFA. The total amount invoked and outstanding as on December 31, 2012, is Rs 964.79 crore. UBHL's financial exposure on account of Kingfisher Airlines as on December 31, 2012, include investment in equity of Rs 2,109.31 crore, guarantees given to banks Rs 6,631.35 crore, guarantees to aircraft lessors Rs 2,135.6 crore, advances given Rs 2,271.64 crore, and interest, commission, logo fees receivable Rs 390.22 crore. 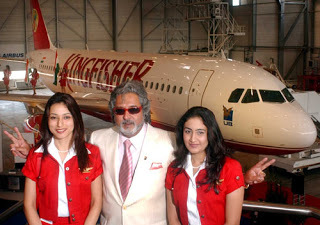 United Breweries Holdings Ltd) is the holding firm for Vijay Mallya-led UB group, whose companies include United Breweries Ltd (UBL), United Spirits Ltd, McDowell Holdings, Mangalore Chemicals and Fertilisers, UB Engineering and Kingfisher Airlines (KFA). For the third quarter ended December 31, 2012, Kingfisher yesterday reported a loss of Rs 755.17 crore against a loss of Rs 444.26 crore in the year-ago quarter. When irresistible force collides with an immovable object, something has to give. In the coming weeks, we will know whether the political heft of Subrata Roy of the Sahara Group can save him from the combined might of two of India’s most powerful regulators – the Reserve Bank of India (RBI) and the Securities and Exchange Board of India (Sebi). The short message from the two regulators to Sahara is simple: return the money to investors and depositors and get out. Your money-raising business is risky for investors. Regulators being regulators, that’s not the actual language used, but it’s a plain-English translation of their stance. The Sahara Group – which is into various kinds of barely-legal fund-raising schemes that have shocked the regulators – was asked three years ago by the RBI to wind down the deposit-taking operations of Sahara India Financial Corporation (SIFC), a residuary non-banking finance company. It was forced to stop accepting deposits maturing after June 30, 2011, and has been asked to return all remaining deposits by June 30, 2015. But it did not do so – as we shall see later. Now, Sebi, in an order dated June 23, has ordered two other Sahara companies – Sahara Commodity Services Corporation and Sahara Housing Investment Corporation (SHIC) – to return the money collected through the issue of optionally fully convertible debentures (OFCDs) from investors with 15% interest. SHIC was formerly called Sahara India Real Estate Corporation (SIREC). The two companies, which had minuscule net worth of a few lakh rupees when they started passing the hat around to investors in 2008 and 2009, had the gumption to target a collection of a humongous Rs 40,000 crore – yes, Rs 40,000 crore – for vague purposes before Sebi stepped in. And, curiously for an OFCD issue involving 6.6 million investors, the issues were to be kept permanently open. Something unheard of in the capital market. OFCDs are debentures which investors can convert into shares at their option. According to a calculation by Business Standard, the amount to be disgorged following the Sebi order would be in excess of Rs 4,383 core. The order is subject to confirmation by the Supreme Court. 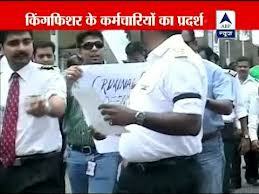 The Sebi order also bars Subrata Roy and his aides from accessing the capital market till the money is returned. Among other things, Sebi has found that the two companies did not have proper lists of investors, were raising money from the public by pretending it was a private placement of shares when it was actually a public offer, had filed red herring prospectuses with the Registrar of Companies with the deliberate idea of excluding Sebi’s jurisdiction, and were planning to operate bank accounts of different companies as though they were one. In short, it has accused Sahara of a potential failure of fiduciary responsibility. If we connect the dots, the fact that the RBI had asked SIFC to wind down and return the deposits ties in well with the fact that two other Sahara companies were trying to raise ultra-large amounts of money on various pretexts. It is not difficult to imagine that the money could flow from these two companies to the one under pressure from the RBI. The Sebi order, written by wholetime member KM Abraham, hints at the possibility of the Sahara Group running a Ponzi scheme. A Ponzi scheme is one where the operator relies on new investors to pay off older investors. Bernie Madoff got 150 years in prison for running a Ponzi scheme in the US. Was (or is) Sahara running one? Sebi doesn’t say so. The reference to Ponzi comes in this context. When Sahara’s legal eagles were given a chance to air their views on why the two companies should not be asked to return the money collected to investors, they pointed out to Sebi that there were no complaints from investors at all. Ponzi or not, both the RBI and Sebi are clearly worried about the systemic risks of allowing Subrata Roy to run his financial schemes. Two things are clear: for whatever reason, Roy seems to need a lot of money pronto; and there are enough gullible investors out there who don’t check to see whether companies raising money are even allowed to do so. Which is why the regulators have taken pre-emptive steps. But from here on the battle lines get blurred. Once the Supreme Court confirms the Sebi order, the man who counts many top Uttar Pradesh politicians (Mulayam Singh, among them), showbiz celebrities (Amitabh Bachchan and many Bollywood stars) and the cricketing fraternity (he is the official sponsor of the Indian cricket team and owner of the Pune IPL franchise) as his friends will need all the support they can give. But political clout has not worked so far. In the growing climate of public anger against corruption and official wrongdoing, the courts and regulators have found the courage to plod on against people tilting against the law. Subrata Roy’s companies are up against it precisely because of this climate where an A Raja or Kanimozhi cannot get bail easily. Pushed to the wall by the RBI, Roy’s companies have been raising money through various means. But the RBI struck back in January, when it released notices in newspapers saying they were not supposed to raise money. The notice said that of the three Sahara companies registered with it, one (SIFC) had been asked to wind up its deposit taking business, and the other two – Sahara India Corp Investment and Sahara India Infrastructure Development – had no business raising deposits. But thanks to the wide enough public recognition the Sahara Group enjoys through its para-banking arm and association with two Indian passions – cricket and films – money was being raised anyway in the name of the Sahara Parivar. This forced the RBI to warn that “it does not guarantee the repayment of deposits accepted by SIFC or any other company in that group.” Strong words from a regulator. But the war is far from over. While Abraham has delivered his order, by a curious coincidence, he has complained to Prime Minister Manmohan Singh that tax officials are harassing him at the instigation of some officials in the finance ministry. In his letter, he has also alleged that similar treatment was being meted out to a colleague, MS Saboo. Both Saboo and Abraham apparently bought apartments in Mumbai in 2009. Equally curiously, neither Abraham nor Saboo has been given an extension by the finance ministry though both were eligible. Abraham retires as Sebi member on July 30 this year. Sebi’s previous Chairman, CB Bhave, who too was not given an extension after being widely presumed to have the finance ministry’s nod, is also being probed by some agencies. But his parting kick to the Sahara Group is reminder enough of the diligence he has brought to investigating the affairs of a controversial group with friends in high places. The carrier has lost its traffic rights allowing it to fly 21 times a week into the UAE. India’s Kingfisher Airlines has ceased serving the UAE after the Indian Ministry of Civil Aviation withdrew the carrier’s international flying rights and domestic slots on Tuesday. The airline had been allocated traffic rights by India’s aviation governing body around five years ago to fly 21 times a week into Dubai. A statement issued by the ministry said that Shri Ajit Singh, minister of civil aviation, “has decided to withdraw all International Bilateral Traffic Rights allocated to Kingfisher Airlines with immediate effect”. As well as Dubai, the carrier will no longer service Bangladesh, Hong Kong, Nepal, Singapore, Sri Lanka, Thailand and the UK. The traffic rights will be handed over to other Indian carriers. “These international traffic rights have been withdrawn from Kingfisher Airlines on account of non-utilisation by the airlines,” the statement read. The revoking of its international flying rights is the latest blow to the carrier after it lost its license at the end of last year. 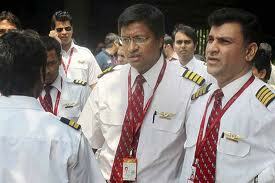 The airline has been grounded since October 1 following staff protests and refusal of banks to grant fresh loans. The carrier has been in discussion with various investors, including Gulf carriers, for equity investments but so far nothing has materialised. 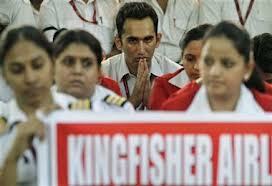 Kingfisher, which launched in 2005, had been due to join the Oneworld alliance, but its membership was put on hold. Labels: sahara scam housing scam sahara swarn yojna Kingfisher Airlines Loses Rights To Fly To Dubai The carrier has lost its traffic rights allowing it to fly 21 times a week into the UAE. Is that something new when some business icon or tycoon has been found involved in a financial scam or scandal? The big shots know how to remain in news good or bad. The salaries of the staff was withheld because of lack of financial resources, which resulted in strikes. The strikes were later called off. The article reveals the reasons behind the strikes, which were previously not known.